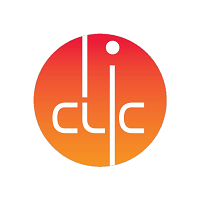 The CLIC workshop 2015 will cover Accelerator as well as the Detector and Physics studies, with its present status and programme for the coming years. For the Accelerator studies, the workshop spans over 5 days: 26th-30th of January. For CLICdp, the workshop is scheduled from Tuesday afternoon January 27th to lunchtime on Friday 30th. Please register by filling-in the registration form in the left menu. 1- There will be an open plenary session on Wednesday afternoon January 28th, giving an overview of the CLIC project (accelerator, physics/detector), placed in the context of other studies for machines at the energy frontier. 2- A common plenary accelerator/detector&physics Friday morning January 30th. 3- Workshop dinner on Wednesday evening. 2- A session Thursday covering High Gradient NC accelerators for industrial and medical applications as well as XFELs, using CLIC and other high gradient technology developments. Some limited parallel sessions can overflow into Thursday as compatible with the High Gradient NC session. 1- Topical sessions on Tuesday afternoon, Wednesday morning and all of Thursday. As usual these sessions will be organised subject-wise by their conveners. We are looking for the widest possible participation and in particular we will encourage presentations and involvement of younger colleagues.